You can only buy cannabis from licensed retailers. Purchasing cannabis from licensed retailers ensures you will receive a safer product and will have all the accurate product information you need to make informed choices. 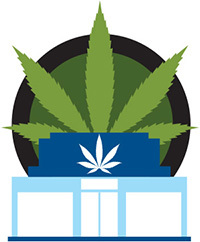 Information on licensed retailers and their locations is posted on the Liquor, Gaming and Cannabis Authority’s website. The current fine for youth found in possession is $672. Please see Street cannabis for more information on the importance of purchasing cannabis from a licensed retailer.